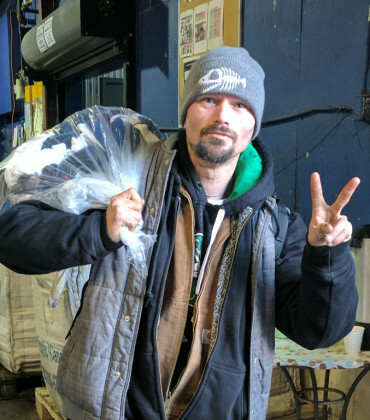 3rd Annual Gift of Warmth! 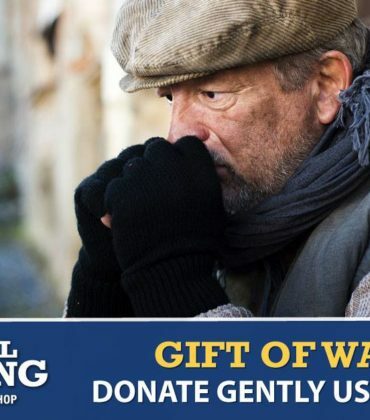 We’re excited to announce that our annual Gift of Warmth event is back! We’ve collected donations for our binner population 2 years in a row, and are back at it again this year! Please join us as we collect items for our binner population! Help us support our community. What is the Gift of Warmth? Several of our depots have a high percentage of customers who are binners. 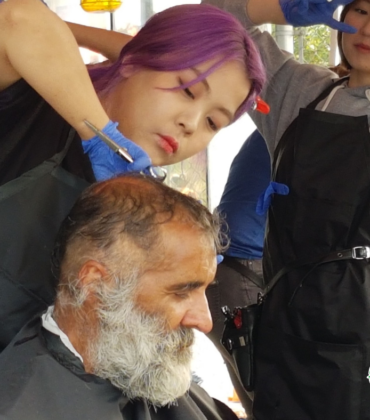 These people in our community spend long periods of time exposed to the elements and with limited resources are often unable to properly outfit themselves. With the Gift of Warmth we gather donations from our community that we, in turn, provide to our binner customers at a free BBQ. During the BBQ, where we serve all-beef, organic hot dogs, provide fresh fruit and hot beverages, our binner customers can “shop” the donations and take all that they need to face the cold winter months ahead. All donations that remain at the end of the day are gathered up and donated to local shelters and other organizations that support the binner community and the homeless. binner \`bin-ner\ – noun. 1. A person who collects redeemable containers and other things from bins to sustain their livelihood and to divert waste from landfills; a dumpster diver. Often these people are also homeless, or live in shelters. To learn more about other programs developed to support this community, please check out the Binners’ Project, a project of Tides Canada. Our first gift of warmth was in 2015, and we were really pleased with our first try at this event. With our partners Mission Possible and Call2Recycle we reached out to our community to collect donations of clothing and hosted a free BBQ for our binner population to add to their supplies to face the winter ahead. The clothing and the food was well received by all, and we had a wonderful day! In 2016 we decided to do it again! We were joined by more sponsors, got a lot of amazing donations, had a local station join us, and had more people benefit from the generosity of their community. It was a bitterly cold day, so the hot coffee and hot spiced apple cider were in great demand! Santa stopped by to the delight of our youngest volunteers. 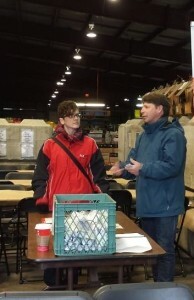 The success of that event convinced us that doing an annual Gift of Warmth was a really great idea. Our 2017 Gift of Warmth clothing drive begins October 7th. 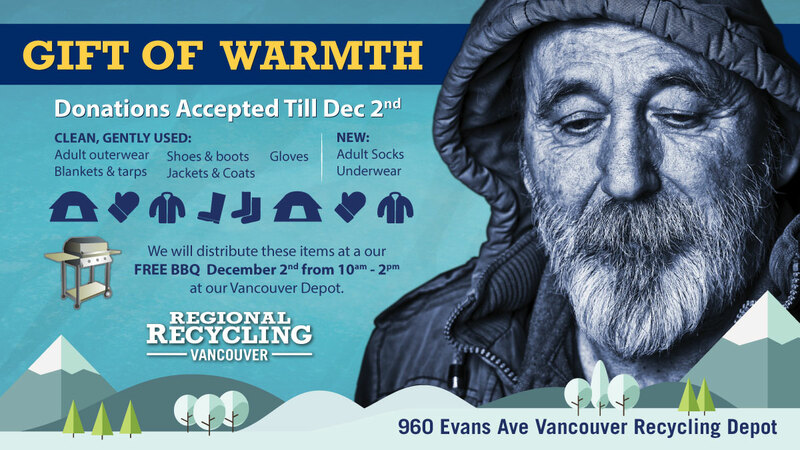 You are asked to donate warm, gently used clothing at our Vancouver Regional Recycling located at 960 Evans Avenue before Dec 2nd 2017. We will host a BBQ at that same location on Dec 2nd from 10AM to 2 PM. 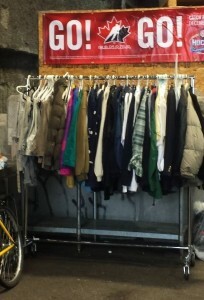 Hello Recycle Center people: Today (Sat) about 5PM I delivered 6 bags of sweaters, jackets, jeans, and other warm clothing for your Gift of Warmth program. I bought some of the stuff at thrift sales and some of it was given to me to donate. I hope that you have received this as no one was there at the time to do so. One of the men dealing with customers bringing in bottles told me to leave the bags outside the manager’s door. Hello James. Thank you so much for your generous donation! Received and greatly appreciated! 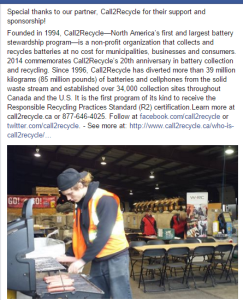 Yes, located at our Vancouver Regional Recycling at 960 Evans Ave.